Jacobs immediately tweeted about the incident, and reportedly went to the hospital for an X-ray. Meanwhile, Gianforte canceled his press appearance and departed; his camp has since issued a press release discounting Jacobs’ version of events, suggesting it was more of an accident in which the reporter essentially body-slammed himself, helpless at the hands of Gianforte’s anti-journalist judo. 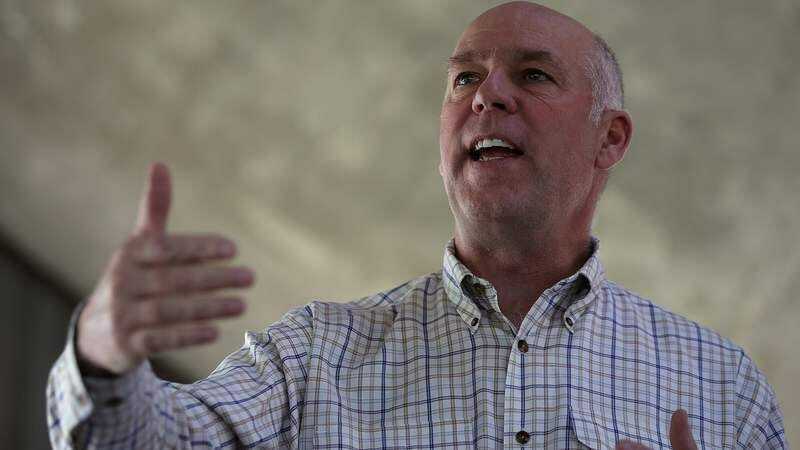 Listening to the audio, it certainly sounds like Jacobs’ version is closer to the truth; Gianforte claims they both ended up on the ground as a result of the altercation, but that’s not what it sounds like on the tape. In any case, this all happened in front of a TV news crew, so we can only hope that the actual video footage will make its way to light, preferably before tomorrow’s special election. In other news, Gianforte’s congressional race is currently being run against a singing cowboy, because we’ve apparently reached some new and depressingly ridiculous plateau of public discourse.